Hands up if you love you a little bit of early-90s Canadian punk rock! No, just me? Well, check out this tidbit: “Only so many songs can be sung with two lips, two lungs and one tongue.” I love Nomeansno, but on this point the brothers Wright and I must disagree. Human beings have been singing their songs and telling their stories for eons. From the spoken word to the first papyrus-backs to today’s e-books, there have been millions upon millions of bits of fact and fiction, turned into content for readers to enjoy, disagree with, cry over, burn and ignore. It’s a never-ending stream of books, articles, songs, speeches, poems, graphic novels, plays, blog posts and tweets. And we never get tired of it. Will that stream ever dry up? Will there ever be a time when there are no more stories to tell? Definitely not (although that itself would make a great story). Yes, the themes of human life—love, death, spirituality, growth, forgiveness, existence—these are common to all of us. But our own stories…well, those are as unique as DNA. And that’s what other people want to hear. If you’re like me, you get a dozen ideas a day. Each one of those ideas has the potential to be exceptional, because you’re the only one who can write it. By all means, read as much as you can and research your genre and the market. You might want to consider tweaking that sparkly-vampire love story you thought was so amazing, or the friends-with-benefits rom-com you thought was so daring. But never think that just because someone’s written something similar to your idea that you can’t put your unique spin on it. 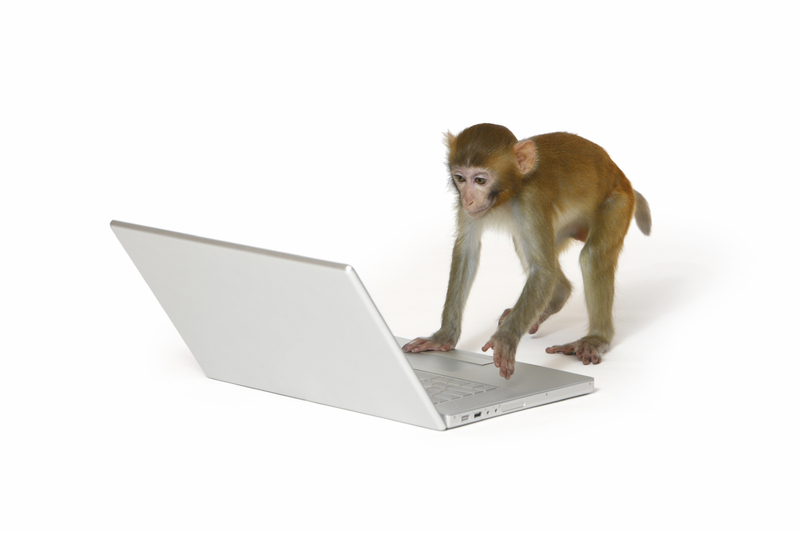 According to the infinite monkey theorem, given enough time, a monkey hitting the keys of a typewriter at random will write the entire works of Shakespeare. But there is nothing random about a writer’s voice. Applied with intention, your creativity and individual perspective can write a story that no-one else can. Only so many stories? Don’t you believe it for one second. Very good advice, The stories are endless and so are the interpretations of these stories. Such wonderful connections are in store. For some reason this reminds me of gun facts I saw on CSI-Miami many years ago (and probably repeated in every crime drama since or before it). Your post is all about believing in the individual’s story and looking for the differences that make it worth paying attention to. Apparently every time a rifle is fired the bullet and barrel imprint a unique set of scratches and grooves upon one another as the bullet careens down the inside of the barrel – a fact I find to be analogous to the relationship between pen and ink brought together by the writers of the world (and in recent times, by fingertip to keyboard key). These markings are so distinct that every bullet fired from a particular rifle receives a similar signature of abrasions that could only come from that unique rifle. This doesn’t mean that any set is identical, just similar enough to narrow down the barrel of origin. Stories are launched in a similar fashion, especially during the multiple rewrites and revisions that are inevitable before the essence and final edit has been set in flight. Writers, even the least skilled ones, already know their target before they strike the first key, and repeatedly their bullets are loaded and fired with only slight variations in the flavor of twists and spins applied while traveling down the barrel. Correcting for errors that make the story miss the mark, eventually the persevering writer will hit their target – the very mark they saw when they had that great idea flash before them, like some sort of shell launched across the blue sky. Just imagine how many ways your ideas can be launched and load your writing guns often with the best bullets you have handy until you know exactly which errors to correct and which are beyond your control – the latter coming from your unique delivery that only your barrel can impart, your personal character of story telling that even an infinite amount of monkeys could never scrawl or tap together. Randomness might lead to order, eventually. But, writers just get us there a lot sooner, telling stories before we could ever live them in our lifetimes, offering a multitude of arcs to live out while we remain held in the one we’re destined to stay on. For these reasons, I too do not believe “it’s all been done before”, but instead believe it’s never been done “like this”.